Shimla: Preparing to make Shimla Kalka heritage track more beautiful and adding more beauty en route, it’s being planned to plant flowers and grow nurseries on either side of the heritage rail track. 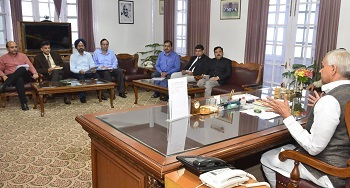 To prepare the outline of establishing flower and plant nurseries on Shimla-Kalka rail track, Governor Acharya Devvrat held a meeting with the senior officials of Railways, Forest department and Himachal Pradesh State Legal Services Authority at Raj Bhawan. 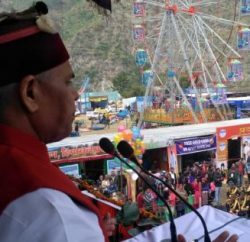 The Governor said that recently he had a meeting with Prime Minister Narendra Modi and the Prime Minister specifically emphasized on plantation of flowers and nurseries on either side of the Shimla-Kalka heritage rail track for attraction of the tourists. Nurseries would also help the Railways in increasing its income by sale of flowers and plants. 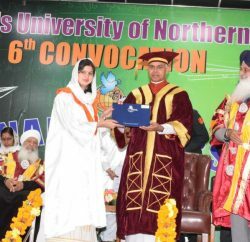 The Governor suggested the Railway officials that a nursery could be set up in a distance of five kilometers on the 90 kilometers long Shimla-Kalka rail track where flowers and plants could be made available for sale out of the state. 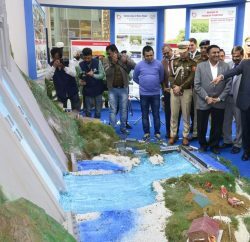 He said the assistance of the Territorial Army could also be taken in this direction and railways should identify the spots setting up the nurseries. He also advised for proper maintenance of nurseries established at Salogra in Solan district and supply of all varieties of plants. The Governor directed the Forest department to make the arrangements for the supply of plants to the railways. The Forest department is planting 60 to 70 lakh saplings throughout the state annually and the department should ensure survival of planted saplings. He also expressed concern over the monkey menace in urban and rural areas of the State and said that fruit plants should also be planted in forest areas. Built in 1898, to connect Shimla with the rest of the Indian rail system, the Kalka–Shimla railway is narrow-gauge railway in North India which traverses a mostly-mountainous route from Kalka to Shimla. It is known for dramatic views of the hills and surrounding villages. During its construction, 107 tunnels and 864 bridges were built along the route. The project’s chief engineer was H. S. Harington.